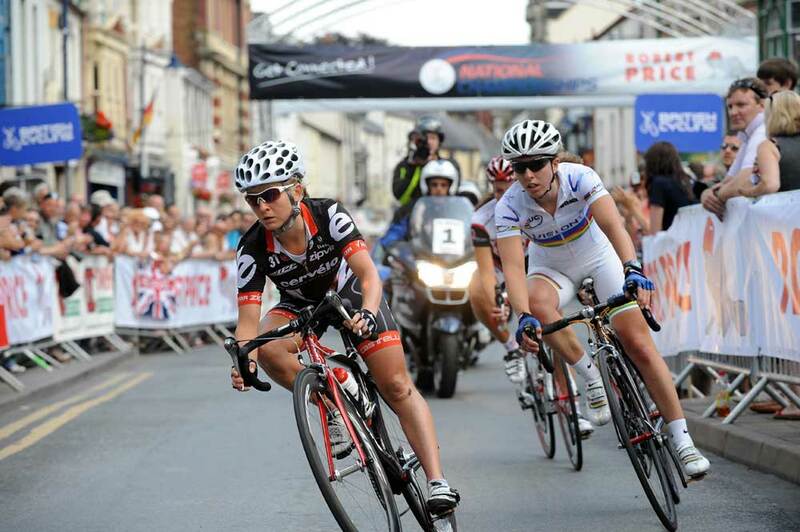 Nicole Cooke took her 10th national title in front of a huge home crowd in Abergavenny today. The Olympic and world champion was always the favourite for this race despite the ever-improving Emma Pooley. The Cervelo rider, fresh from her victory in the Grande Boucle stage race, needed to distance herself from Cooke if she was going to win her first title. But Cooke isn’t the sort of rider you can just shake off, and after a quiet start to the season she’s started winning recently too. In the end Cooke won the sprint comfortably from Lizzie Armitstead and Pooley after the three had simply ridden away from the rest of a peloton that just wasn’t on the same level. Sadly it was Armitstead’s second place that then became the story of the day, and one that has completely overshadowed the result. Armitstead is an under-23 rider, a category that has prizes awarded separately from the main event. In a bizarre interpretation of the rules, chief commissaire Colin Clews, ruled that because Armitstead was in the under-23 category, she wasn’t eligible to receive her silver medal, and Pooley was given second place. Last year Joanna Rowsell won the under-23 category and rightly kept her bronze medal for the senior title, and Cooke has won both categories – and never been relegated from either – more times than we care to remember. But as the rule hasn’t been enforced in recent times, should have been today? The crowd obviously didn’t think so as they booed the announcement, much to commentator Hugh Porter’s annoyance.